Do you have the need for an SUV that’s both good to drive on the road yet also isn’t afraid to get its tires off-road? 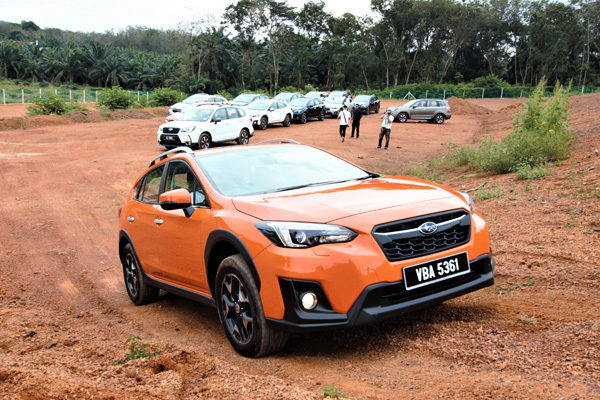 As one of its latest vehicles, TC Subaru Sdn Bhd, the exclusive distributor of Subaru vehicles in Malaysia, has launched the all-new Subaru XV in Malaysia. 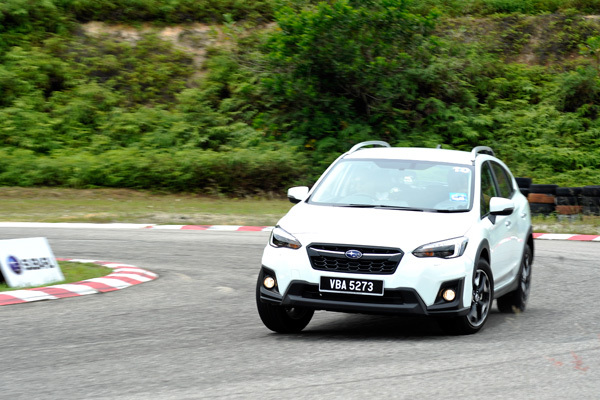 A successor to the previous 2013To assist in promoting the new SUV, TC Subaru Sdn Bhd hosted an event titled as the Subaru XV Media Drive event to allow the public and prospective drivers alike to test the Subaru XV. 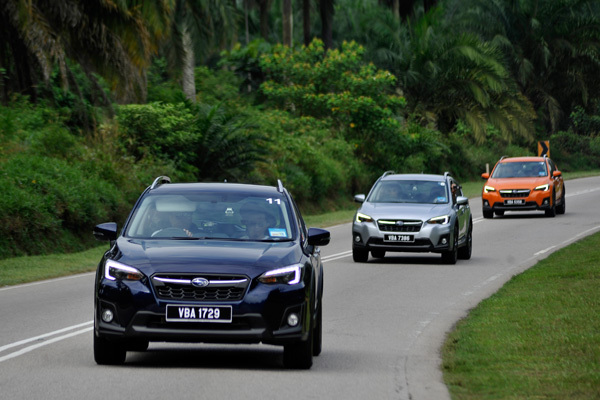 The event was in effect a drive in a convoy of Subaru XVs that started in Subaru PJ to the MIMC track in Melaka. The All-New Subaru XV is an upgrade from the previous 2013 model and features various new features and improvements for a better driving experience. To aid in this, the new Subaru XV is also the second model to employ the Subaru Global Platform, a new platform on which future Subaru models will be built upon. The All-New Subaru XV features several improvements in comparison to its predecessor from 2013. Featuring a lower center of gravity thanks to its revamped 2.0 litre Boxer engine, the 2018 Subaru XV is built upon the new Subaru Global Platform and aided by a new symmetrical AWD; the former promising a greater body rigidity while the latter offers a better balance for driving stability. The Subaru Global Platform is a new foundation that will be used for all future Subaru models with focus on constant improvements. The platform offers the Subaru XV improved maneuverability, reduced vibrations and noise, and a comfortable ride quality. These new features are all ultimately tied together by Subaru’s unique X-Mode, which in effect helps the driver navigate through otherwise difficult terrain. Being a SUV, the Subaru XV requires good off-road capabilities to get the job done, which includes being able to cross hills, gain traction on unpaved surfaces, and so on. Aiding in the All-New Subaru XV’s new improvements is the inclusion of X-MODE, a revolutionary drive system that allows drivers to better navigate challenging road conditions and terrain with ease. This is done by having X-MODE take control of the engine, transmission, symmetrical AWD, brakes, and other components, all with the push of a button. By doing so, it helps lower the risk of danger when traversing difficult terrain as well as providing a higher level of comfort. This isn’t to say that the X-Mode is completely about improving off-road capability, as it also improves on-the-road performance with the usage of lower gears for maximized engine power delivery. Outdoor enthusiasts would be pleased with the Subaru XV’s X-MODE, which allows the vehicle to carefully navigate through bad roads, slippery surfaces, and steep hills. The operating range for these conditions are at a low speed from 0 to 40 km/h. But perhaps the most notable feature among the rest is the XV’s ability to climb hills. Through the X-MODE’s tweaking, the XV is able to both gain traction and climb the hill with ease, as shown above in a hill simulation test at the MIMC track. Likewise, the X-MODE also allows the vehicle a better capability for descending hills. A unique feature about the X-MODE and descending hills is the Hill Descent Control. This is done by maintaining the same vehicle speed when driving down steep hills. The operating range for hill descent is slightly lower, from a speed of 0 to 20km/h. At low speeds (under 20 km/h), Hill Descent Control helps maintain vehicle starting speed for safer maneuvering – the car itself manages the throttle and breaking allowing the driver to fully concentrate on steering. The X-MODE also automatically helps to maintain a constant speed when the Subaru XV is travelling downhill. On surfaces where traction is hard to get, your wheels can slip. The X-Mode takes control of the engine, transmission, brakes, and AWD to allow the vehicle to regain its traction. In addition, the X-Mode also comes with several improvements to driving performance – for example, the engine throttle is augmented. In normal driving, when the driver steps on the accelerator pedal, the engine throttle opens up, however X-Mode is designed so that the throttle doesn’t open too quickly. If the driver presses the accelerator further, the engine then delivers torque faster. X-Mode employs special settings that deliver torque gradually at first, but then makes it come on stronger. In layman’s terms, the engine is better optimized for more efficient power delivery. Transmission-wise, X-Mode keeps transmission in a lower gear so that engine power can be delivered stronger. This shifting pattern, while X-Mode is ON, lets the driver make the most of the power that is available. Commonly, inefficient use of gears in an engine can result in lesser fuel-efficiency, and thus X-Mode makes sure the engine power is utilized more optimally. As mentioned earlier, the X-Mode is helpful for traversing difficult road conditions, which includes All Wheel Drive. AWD control is improved by raising the front/rear coupling force when X-Mode is ON, which helps the driver drive power more evenly between the four wheels. This maximizes the traction of the tires. Efficient delivery of power to the wheels is essential on uneven roads and steep surfaces where loss of traction can be quite hazardous. However, like any other car, the wheels are nothing without its brakes. Thanks to the Vehicle Dynamics Control (VDC) system, when X-Mode is ON, the Subaru XV can dynamically adjust different settings of the car when the need arises, this includes a specially tuned “Enhanced Differential Control”. For example, if the left and right wheels are behaving differently, the system applies brakes only to wheels that are slipping. Compared to ordinary operation, the brakes are applied a lot earlier when X-Mode is ON, resulting in Differential Control activating much faster. What this means is that when X-Mode is on, should any of the tires have lost traction or is malfunctioning, the brakes will only be applied to them instead of the normal wheels. This function can prove useful when driving on rainy days as well as going off-road where slick mud will be expected. To sum it up, the All-New Subaru XV is a good choice for those needing a car for all-around use with the capability for handling difficult terrain. With its plethora of improvements over the previous model, the X-Mode might just edge it out enough over the competition. 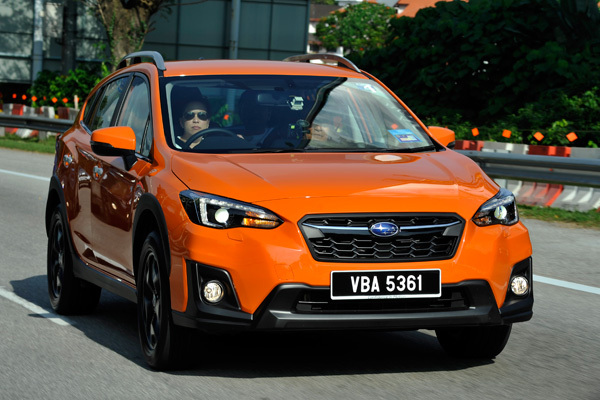 For more information on the All-New Subaru XV, visit Subaru Malaysia website.